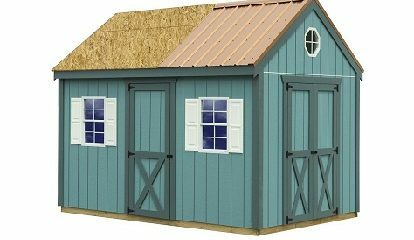 Best Barns shed kit with great storage – The Regency shed kit features a generous loft area with plenty of headroom for storing items out of the way but with ease of access. This DIY shed features a double door on the gable end so you can get large items such as your lawn mower in and out. A single door opens for quick access to both loft areas and other stored items.